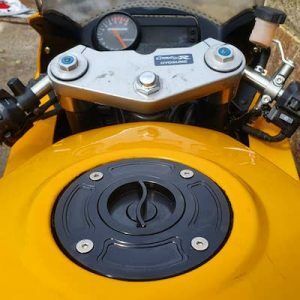 Track days can be an often hugely expensive pastime, but Instagrammer crashtestkatie from South Wales shows that you don’t have to win the lottery to get some fun and experience. 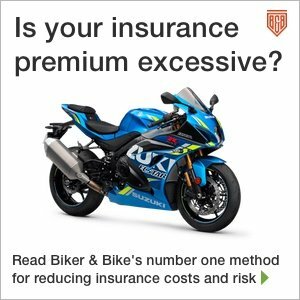 You just build yourself a cheap track day bike. Scrolling through Facegram and Instabook it’s difficult to miss all the summer track day posts from a pantheon of influencers. New supersports bikes, nice clean race suits, eye-wateringly pricey helmets and carbon fibre accessories make great images on the socials. But it doesn’t have to be this way. 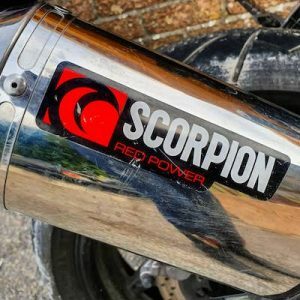 Katie Dunkley is a born and bred biker who started riding at (good grief!) three years old. 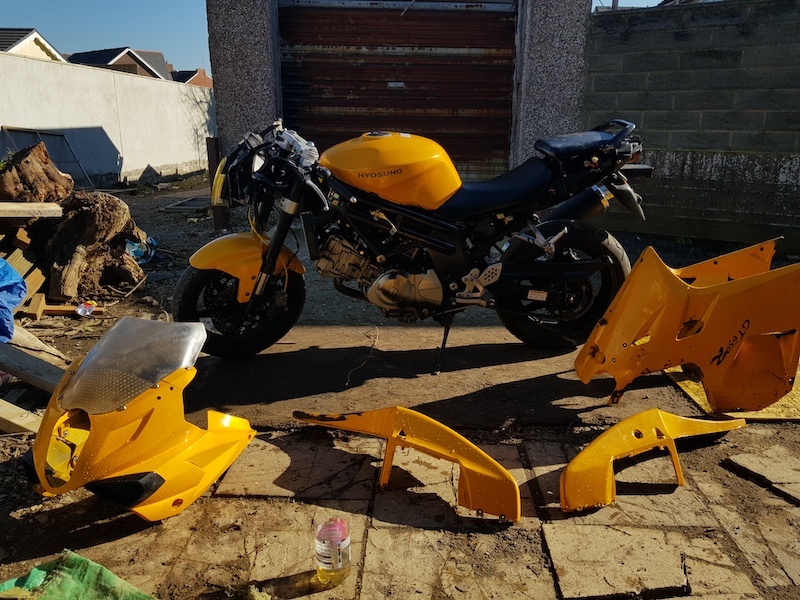 She’s good with the old spanners and when she spotted a stolen/recovered Hyosung GT650R (see here for the full specs new) on eBay she snapped it up for a pretty damn reasonable £312.00. “It was an impulsive eBay bid. I like a project and I’m not put off by getting dirty and doing some hard work. 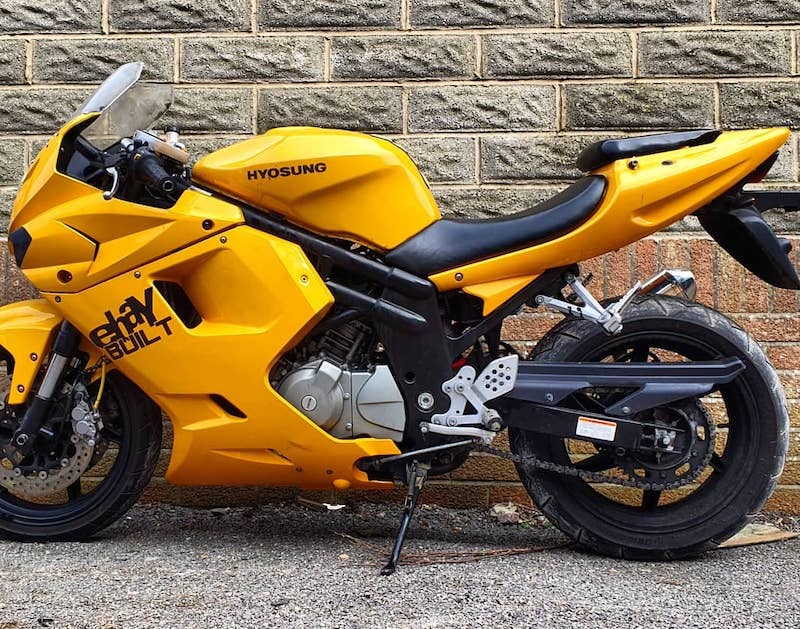 With it being Korean I knew there wouldn’t be much interest, typically they’re not seen as reliable, but with it being a track bike it won’t be used regularly enough to worry about the reliability. The bike had been sprayed black, but Katie rubbed the paint off to reveal the beauty beneath. That’s a shrewd move, tidy the bike up, put it on the track but keep the option of getting it road ready and salable. 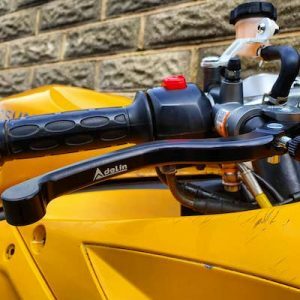 “So, first of all, I knew the bike wouldn’t have the best brakes, so an Adelin master cylinder was the first upgrade, essentially a budget Brembo copy at £25. My abacus gives me a neat running total of £399.99 so far. I’ll repeat that. A running track bike for less than four hundred quid. Obviously, there are other costs, but that’s cheap enough not to worry too much if it comes home in a skip. 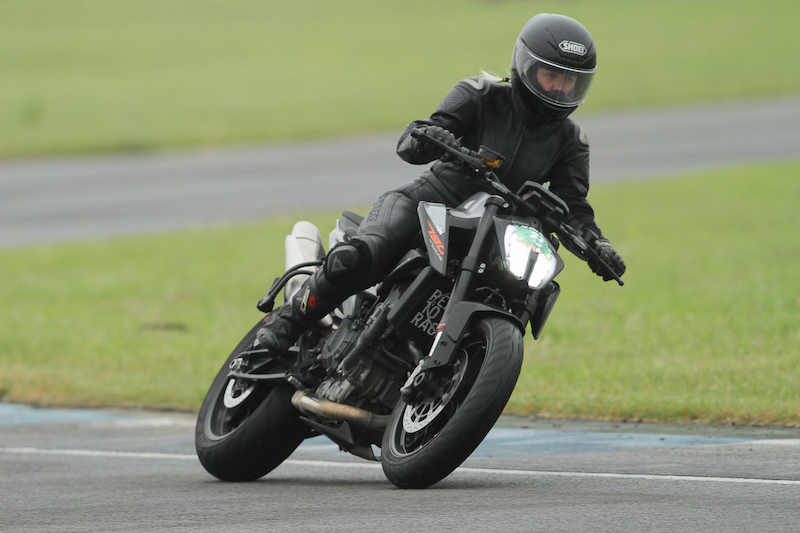 The Hyosung hasn’t had its first outing yet, but Katie’s no stranger to the track. She’s ridden her previous KTM Dukes 390 and 790 on track days. “I love track riding. For me it gives me the freedom to test my abilities, improve my riding and push myself and bike to the limits roads just won’t allow, while remaining relatively safe without the hazards the roads hold. Katie’s obviously very capable. 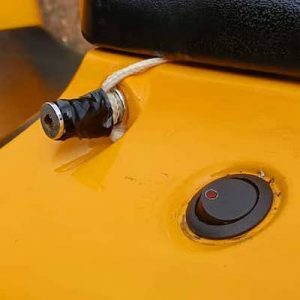 Not everyone has the ability, space and tools to do up their own bikes. 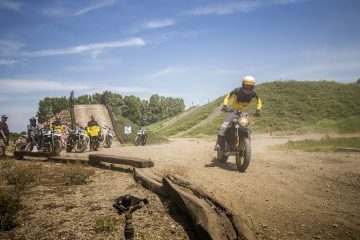 Many people would love to get out on a track to see just what they can achieve but are put off by the cost, the risk of trashing their daily ride or their pride and joy. But Katie’s shown what can be done on a shoestring budget. 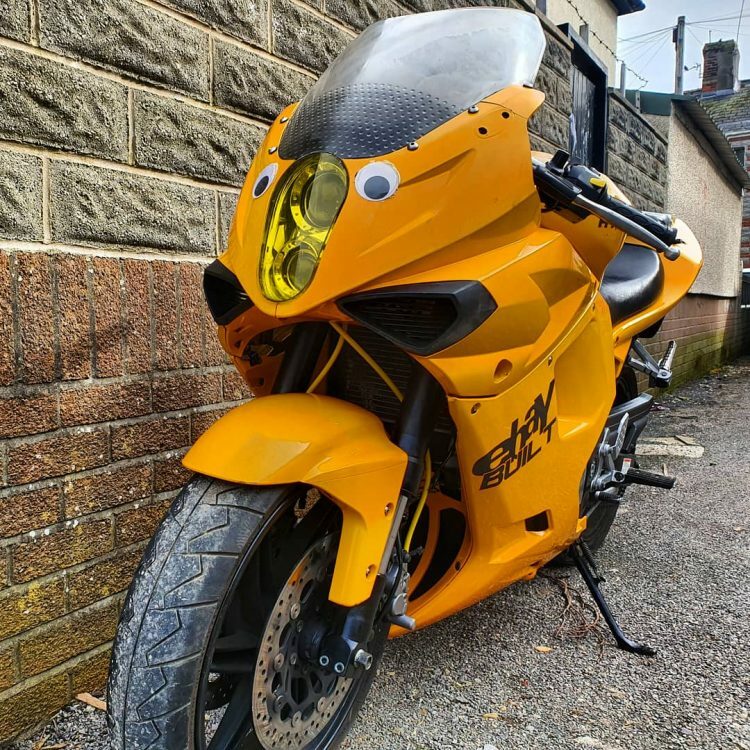 So if you’re out on a track day this year and you see those googley eyes coming up on you, you know who it is.